Can you believe it is already mid-November?!? Where did 2015 go? Christmas is right around the corner and Handmade In KC group has many great handmade items that will make wonderful gifts for the kids in your life. So, while I was sitting down writing out my 'Christmas gift list' for my own family, I thought I would pull together a children's gift guide. Baby: M and J Creations has so many amazing handmade items, for all ages but I love their Ribbon Creatures. 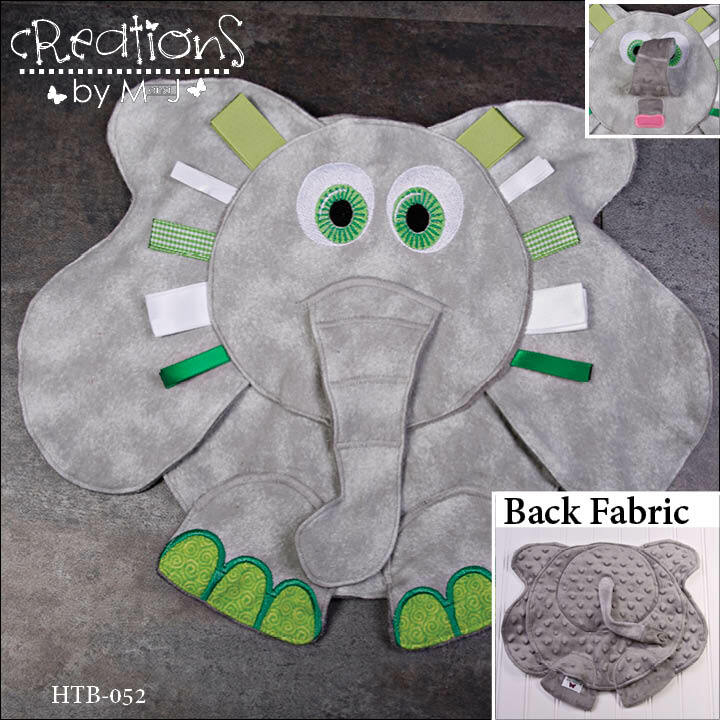 This elephant is darling and would be perfect as a gift for the holidays or even a baby shower during the year. Kiser Krafts also has handmade plush sock bunnies that are safe for 0+. One of my favorites is this bright Dotdot Bunny. She is cute, small, colorful, and features secure safety eyes. 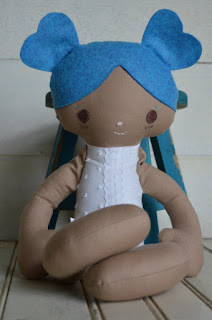 Toddler & Children: I love The Little Wing and her creations! My daughter has one of her previous styled dolls and it is well loved. I love the NEW dress-me style dolls, especially this one with vibrant blue hair. Every little girl loves flowers in their hair (sometimes even women😉 I know I do)! Violet's Bud hair flowers are so well made and super darling! I love the pig tail sets as well as this beautiful bloom for the Harry Potter fan! While M and J Creations and Kiser Krafts have items set apart for the very young, there are other items within their virtual walls for children of all ages. M and J Creations has handmade wooden cars - how cool is that!?! And Kiser Krafts has sock lions!?! Who needs a monkey, when there is a sock lion out there?!? Handmade In KC has many other amazing items for all ages that make wonderful gifts. Please, stay tuned as more gift guides will be shared throughout the next few weeks. I know you will find the perfect gift you are looking for. Thank you to Kelly from Kiser Krafts for putting this blog together.